Are you looking to cap that special sporting event with a custom made trophy or medal? Then allwear Solutions can help. 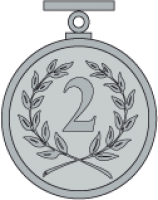 New to our store are our trophy and medal collections. All of the trophies in our range can be customised to meet your specific requirements.